PEACHES. Your crafting genius is amazing. I think am simultaneously jealous and in love with you. Thank you for continuing to be my favorite spot on the Internet! PS regarding that shitting log, I am speechless…….. I should write a series of posts on this stuff. It’s so weird!!!! I’m not much for wreaths, don’t quite understand them, but boy oh boy do I totally get this one! Loooooove it! Very creative! Love it!! 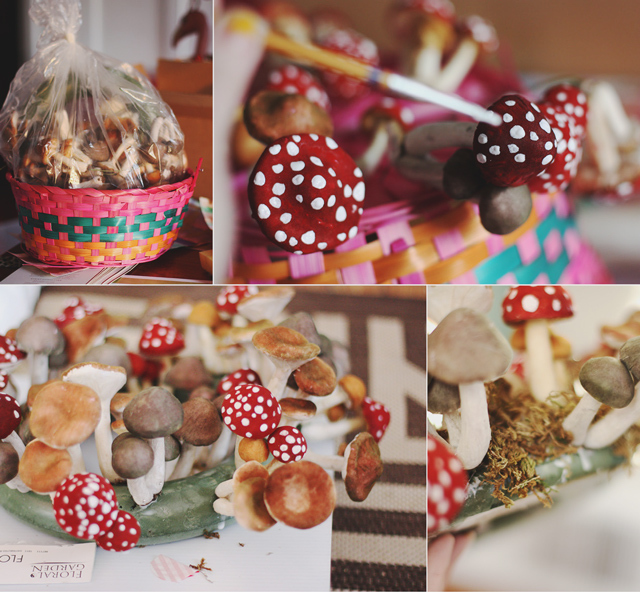 Those fake mushrooms are awfully awesome. oh la la ! je l’aime ! 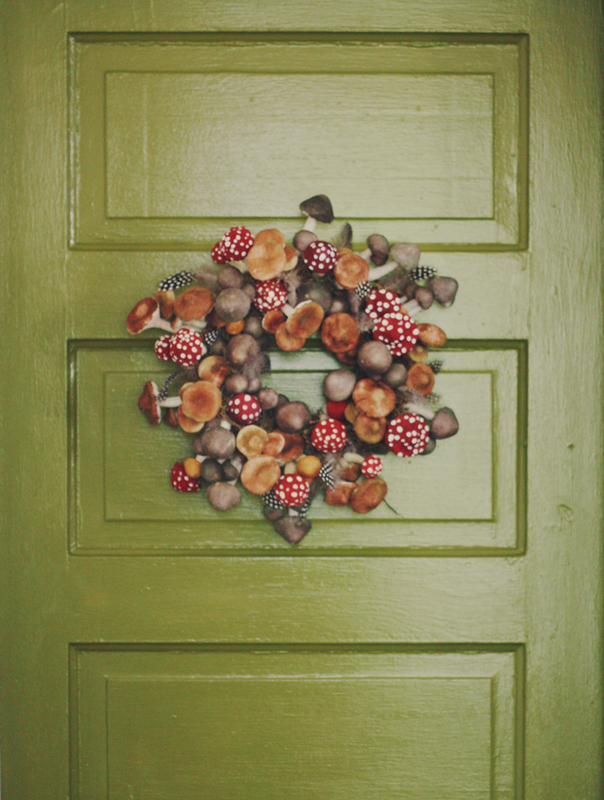 you are the only one , who can make a wreath with mushrooms so perfect ! If you ever come to Canada, let me know. I will be your crafting depot four guide. I know the locals to get the cheapest everything, from dried flowers to empty snow globes to cosmetic glitter. Haha! I have always wanted to ride a polar bear down the dried flower aisle. Seriously though- I have had a Canadian road trip on my bucket list for years. One of these summers I am going to do it for real. I will rely on your guidance! Crazy love this wreath…shear fungic brilliance. 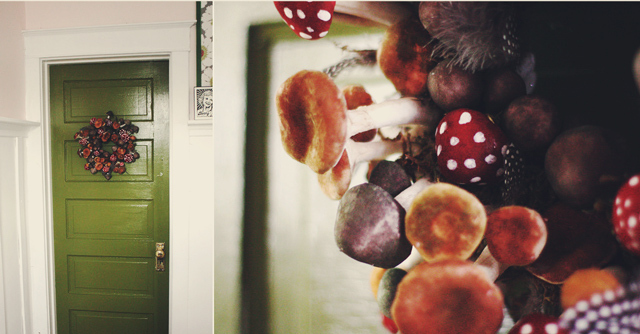 only you would create a wreath from mushrooms. and that it would look perfect!!! That’s why I love you! 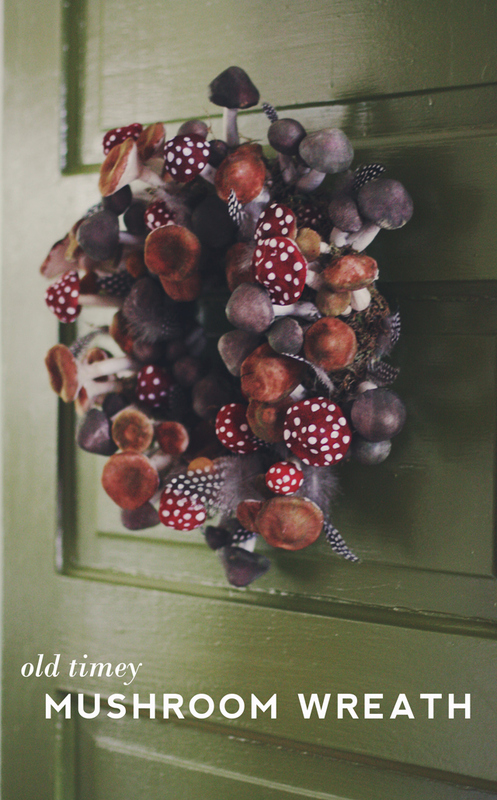 Fabulous wreath… odd yet interesting info about Mushrooms. Stockade.ca is a fabulous craft supply warehouse that, although not close to you, ships all across Canada and into the USA. Definitely worth a look: https://stockade.ca/default.asp (your new banner header inspired my homepage homage to glitter).